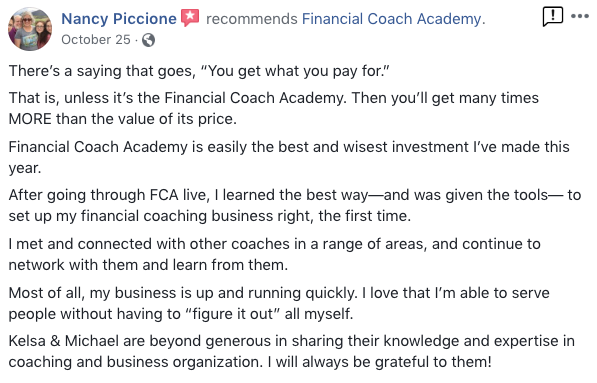 Introduction to and an explanation of every contract, handout, checklist, software, or tool Fiscal Fitness Phoenix uses every day to run a quarter million dollar financial coaching practice. We don’t hold anything back. Client conversation scripts, handouts, and exercises to help you get practical experience and advice that will propel your business growth. All content is released immediately, but it’s broken down into weekly assignments and actions lists. Work on it as quickly or slowly as you need. 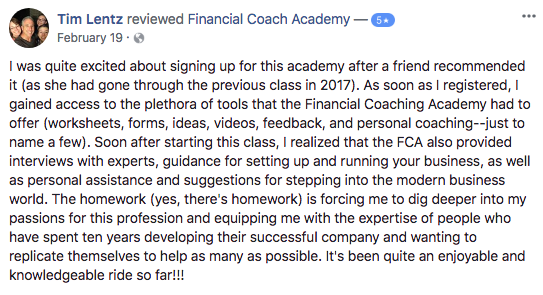 Each week builds on the week prior, using simple tutorials and worksheets to help you design a successful financial coaching business. Videos and downloads are always available once released, so you can watch and re-watch them as often as needed. You also will get lifetime access to an online suite of files, downloads, contracts, powerpoint slides, and other content, pre-made for you so you don’t have to reinvent the wheel. In addition, you will gain free access to Fiscal Fitness Phoenix’s online workshops. A private Facebook community to connect and collaborate with past, current and future classmates. Mentoring and continuous feedback from the Academy’s instructions throughout the course. Available in the live course only! Learn more here. 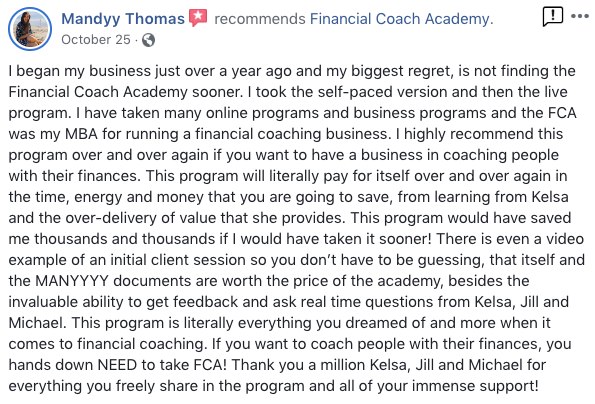 When priced out individually, the Financial Coach Academy is valued at more than $10,000. Online modules and coaching video conferences that teach you how to master power partners, client on-boarding, systematize coaching sessions with clients, marketing, overcoming objections, identifying your niche and much more. All recorded so you can watch anytime. 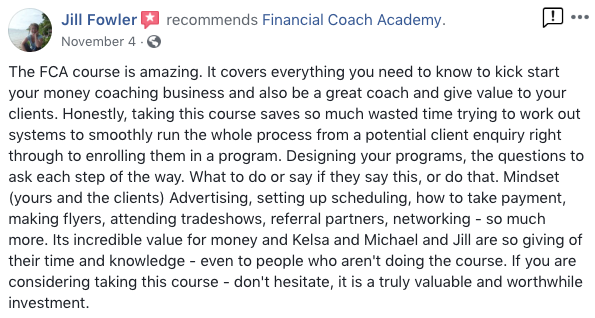 Clear out all the clutter and advice you read and get real, down to the details, experienced coaching from a financial coach who puts it to practice every day! One-on-one feedback from Kelsa and her team. 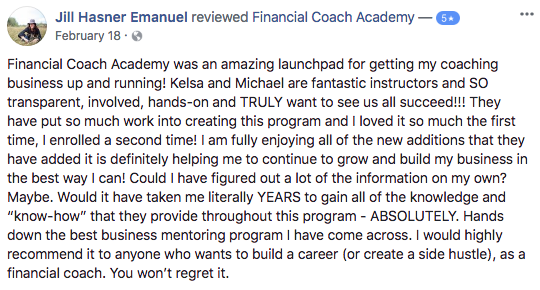 Roll up your sleeves, purchase the course, and turn your passion for finances into a successful coaching career.